Students of School of Design and Human Engineering who displayed their graduation works at the exhibition. 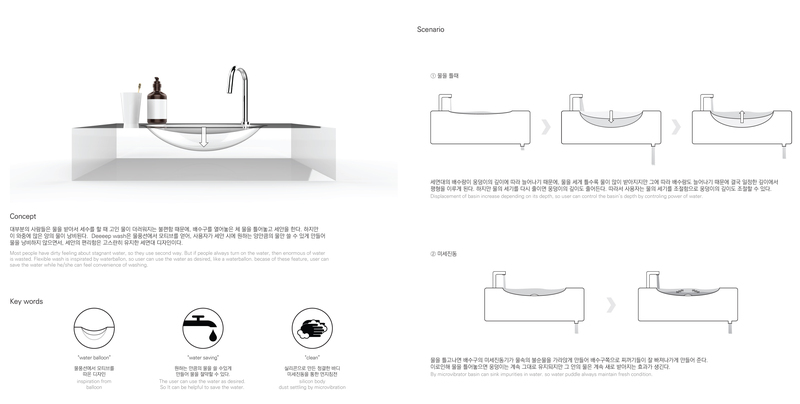 The degree show of Industrial Design Track was held in Seoul. 14 works with the concept of Connexio were displayed and showed the meaning of convergence of studies. 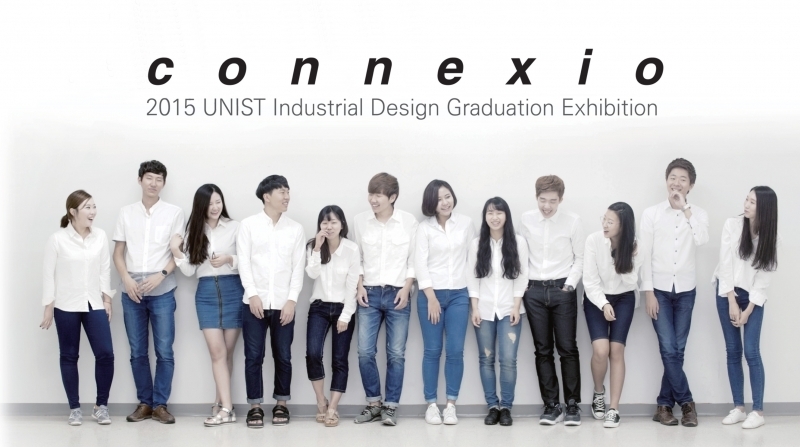 UNIST future designers (School of Design and Human Engineering) had been displayed their masterpieces from December 18 to 23, 2015 at the Industrial Design Graduation Exhibition in Luminarie gallery, Seoul. Total 14 products including furniture, construction, daily necessities, and means of transportation caught a lot of observers’ eyes. These products all represented the convergence of engineering and design. There are two main pieces to introduce from the exhibition: MiSTIC and Deeeep wash.
First, MisTIC, the humidifier, is united with a speaker and a film projector. It satisfies users’ hearing and sight senses while maintaining indoor humidity. 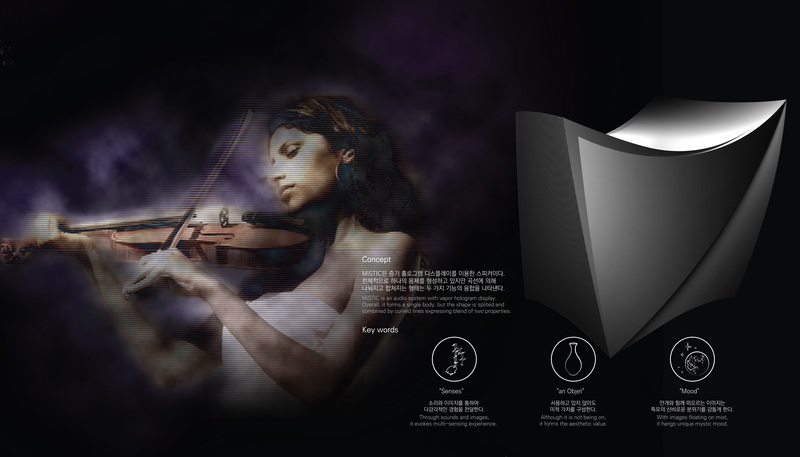 This special kind of humidifier can show you the video by using its steam and play the music. In this creative product, the technology of speaker, film projector, and humidifier is all combined. Second, there is a washstand that gets bigger following the water pressure from the tap. Deeeep wash is the product that helps people use the wash stand neatly by controlling the amount of water in the water stand. This washstand made of silicon has a tiny hole under itself. The operating principle is that the hole gets automatically bigger as the amount of water from the tap gets larger. Therefore, the users can avoid wasting water and use the stand without messing it around. 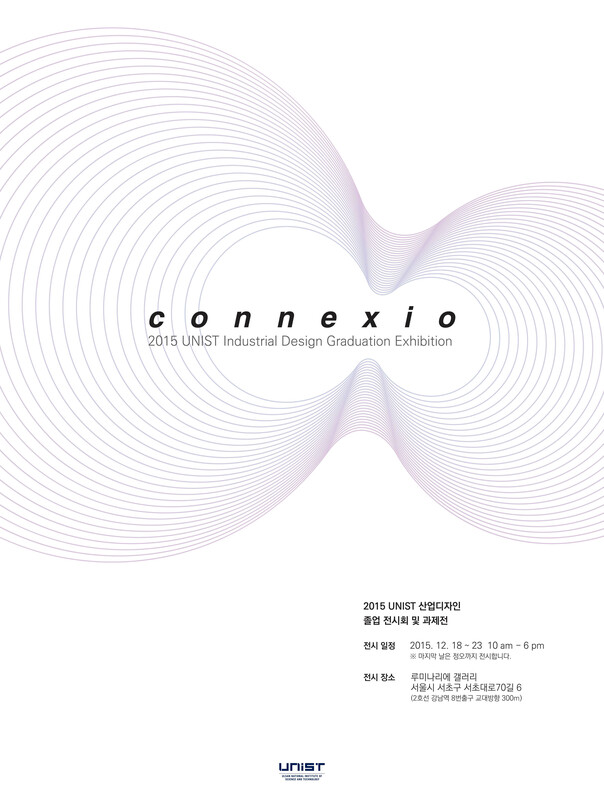 This graduation exhibition in Seoul is to commemorate the graduation of industrial design track of School of Design and Human Engineering, UNIST. At the exhibition, not only the graduation works but also the outcomes of the Creative Design Engineering School were introduced.